Easy alternative to nails, screws and glues providing a quick securing solution indoors and out. Secures items such as large pictures, mirrors and tools etc. Will hold up to 7kg per 50 x 100mm hook and loop strip. 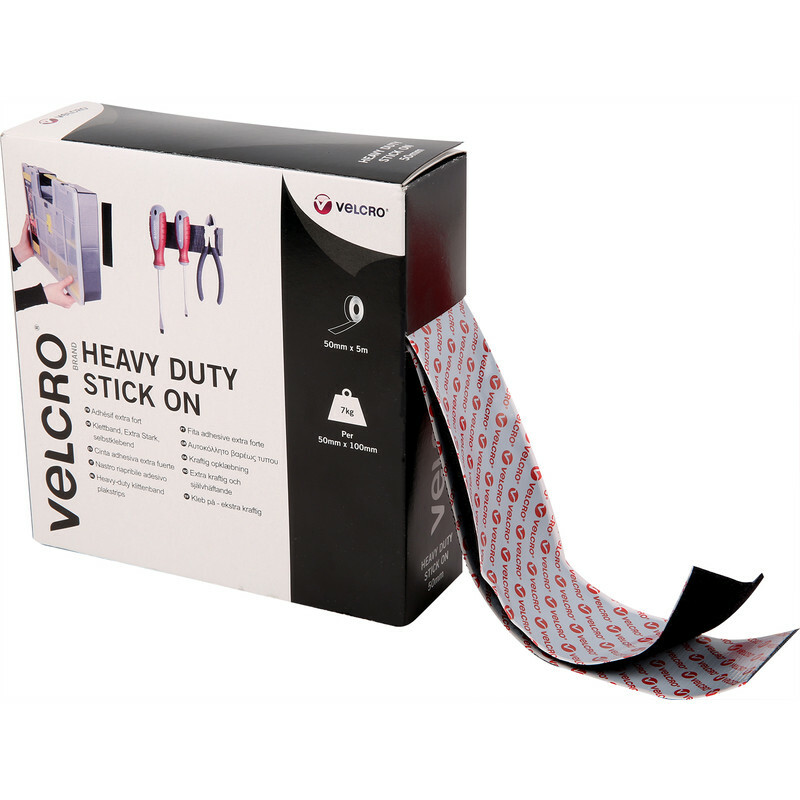 VELCRO Brand Heavy Duty Stick On Tape Black 50mm x 5m is rated 5.0 out of 5 by 3. Rated 5 out of 5 by Zimmergod from Sticks like dog poo on a blanket! Super strong hook and loop system, glue works well if instructions are followed, might need to add a few dabs of super glue along the edge to make sure. Rated 5 out of 5 by Briz from Great product This Velcro sticks very well.